The Kopp Billing agency project is located at 511 East Fayette Street. This project was part of a larger project that included the removal of a building and the expansion of a parking area from 22 to 46 cars. The stormwater management features of this project include an on-site stormwater infiltration system comprised of three drywells. The drywells capture and infiltrate runoff from the roof of the building as well as the surface parking lot. 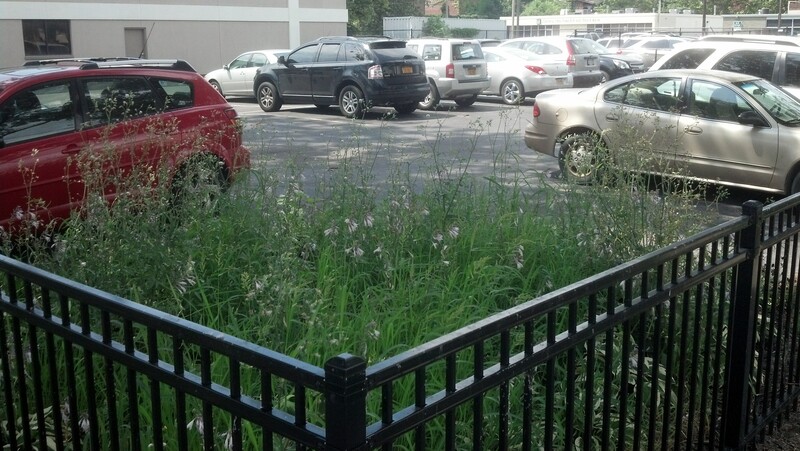 The project captures runoff from a total area of approximately 18,770 square feet. 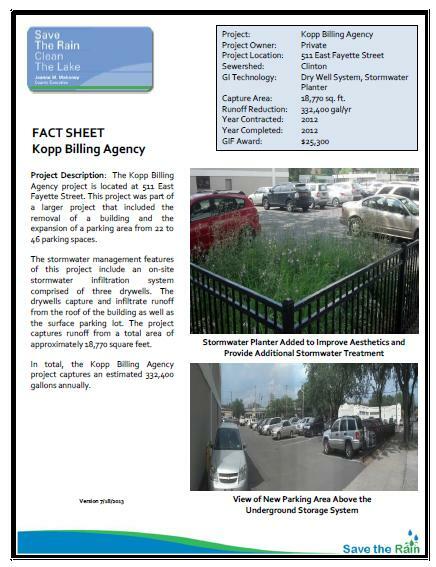 In total, the Kopp Billing Agency project captures an estimated 332,400 gallons annually.